Sharon residency offers some amazing rooms that are pleasant to look at and very comfortable to live in. they are quite spacious and have been painted in neutral hues. All the rooms have been provided with boldly colored curtains and cushions that enhance the homely feeling of the room. The rooms are well-furnished and a lot of wood work is involved within the interior decor of the room. 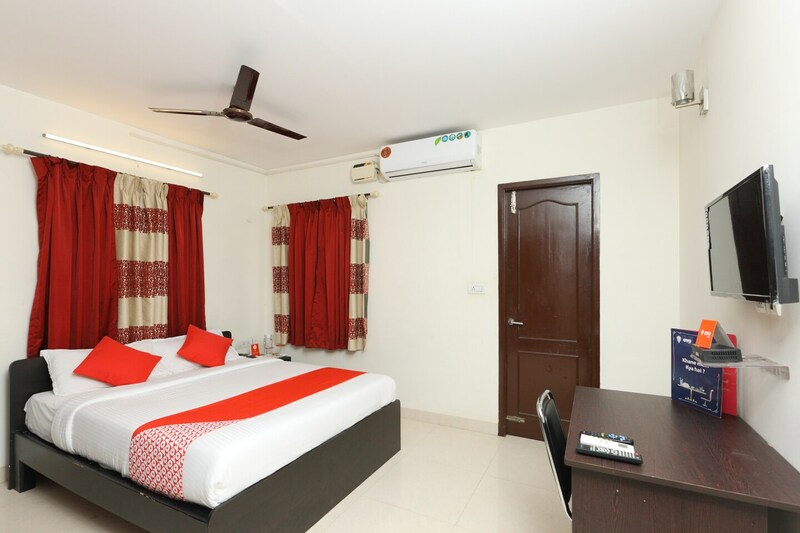 The hotel also provides some extra facilities such as free Wifi, parking provisions, an uninterrupted power backup source, card payment in all forms and CCTV cameras. The in-house facilities of the hotel comprise a common lounging area and a common dining area. These facilities can be used by the guests as and when required.